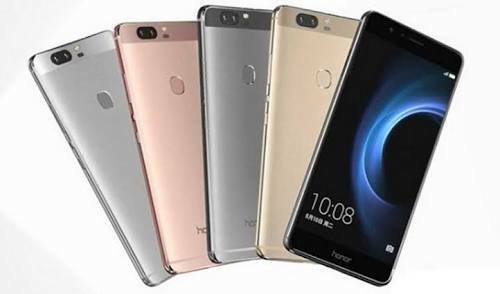 Huawei Honor 8 Pro also known as Huawei Honor V9 in China has been launched at Mobile World Congress 2017 (MWC) event. The device is a premium smartphone that packs an impressive 6GB RAM with other decent features. Huawei Honor 8 Pro comes pre-installed with Android 7.0 Nougat and it's powered by HiSilicon Kirin 960 chipset alongside 6GB RAM and 128GB internal storage although there is a version of the phone with 4GB RAM and 64GB ROM. The 5.7 inches display screen phone supports 4G LTE VoLTE, it has fingerprint scanner for improved security. It uses dual LED flash on its 12MP rear camera lense. To keep the power always on, it comes with 4,000mAh non removable battery that has reverse charging technology which enables it to charge other phones. Having said that, below is the specs of Huawei Honor 8 Pro. Note that the above prices are subject to change at any time. But d price left something to be desired!